Always have snacks on hand just in queso! 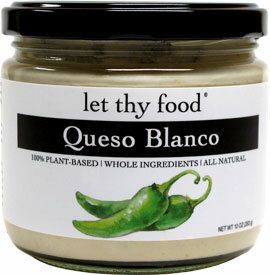 This bold, spicy vegan queso blanco from Let Thy Food is great-on-everything, lusciously creamy perfection! Enjoy this delicious dip with chips, tacos, potatoes, sandwiches, veggie burgers, pasta, nachos, pizza, burritos and more. 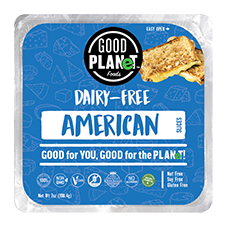 It's made with whole-food ingredients, is 100% plant-based, non-GMO, grain-free, and all natural, giving you the healthiest way possible to enjoy queso blanco on your favorite foods. 10 oz. (283g) jars are $10.49 each. From Lisa Salyers of Columbus, Ohio on 10/6/2018 . If you're looking for a queso that's mildly spicy, this is not it! whew, this brought tears to my eyes! If, like me, you're a spice wimp, I'd skip this one! The texture is fine, nice and thick and creamy. I did need to mix it up when I first got it - it had separated a bit, normal. But it was so spicy! I gifted this to my grandma, she loves spicy cheeses. From Anonymous of Clarksdale, Mississippi on 5/26/2018 . I used this as a condiment for my field burger by Field Roast and for my seitan chorizo nachos. Great on both. Has the same consistency and taste as a cream based queso. I think I might give up dairy because of this product. From Kayleen Dresen of Council Bluffs, Iowa on 11/18/2017 . 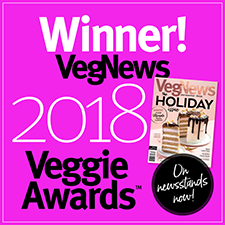 I have been searching for good vegan queso for years. I've tried about every brand there is. This is definitely a keeper. Although it lacks the fat flavoring that normal cheese has, this stuff is smooth and the peppers hit just the right notes for this type of queso. Way healthier than the real thing too.